This is a public open-air bath located on a river beach of the Gamata River. 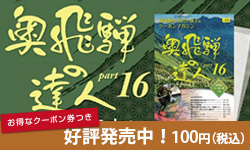 To use the facility, just place a small donation (around 200 yen) into the collection box at the entrance. Signs written on large boulders indicate the changing rooms and open-air baths. 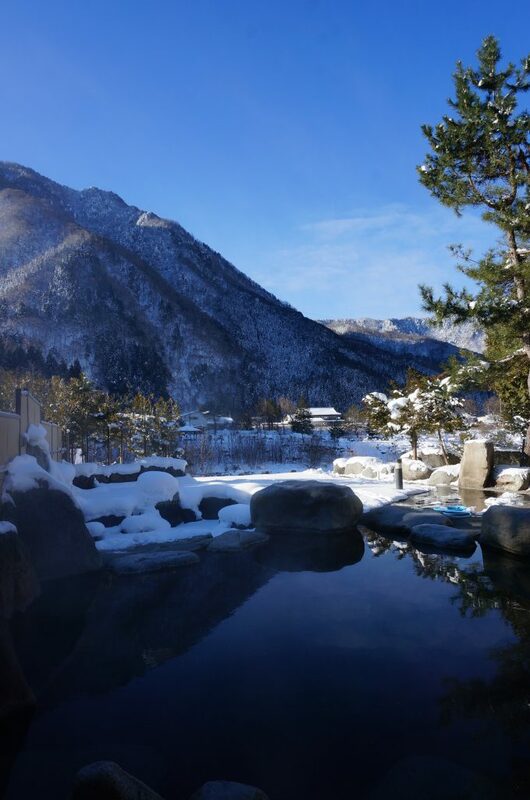 Surrounded by the grand mountains, you can really feel the splendor of nature. Closed from wintertime to springtime (October 31 to late April). The opening period of 2019 is from 12:00 on April 23 (Tue) until October 30 (Wed). 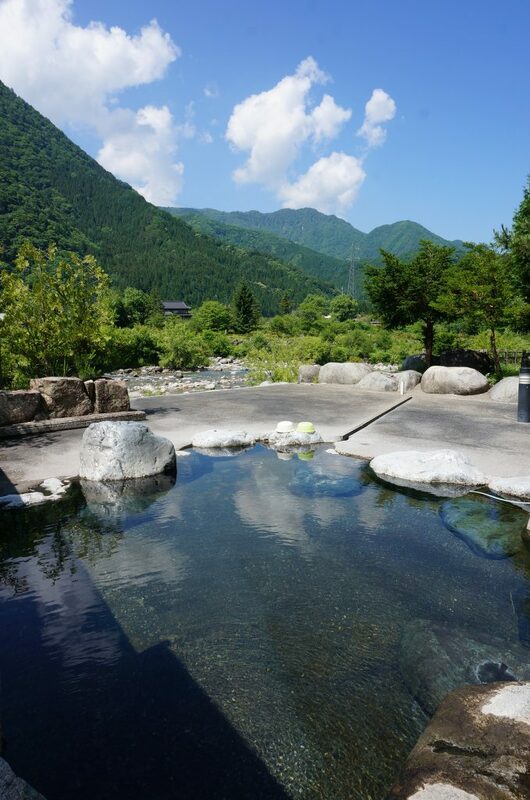 Adjacent to the Shinhotaka Ropeway No. 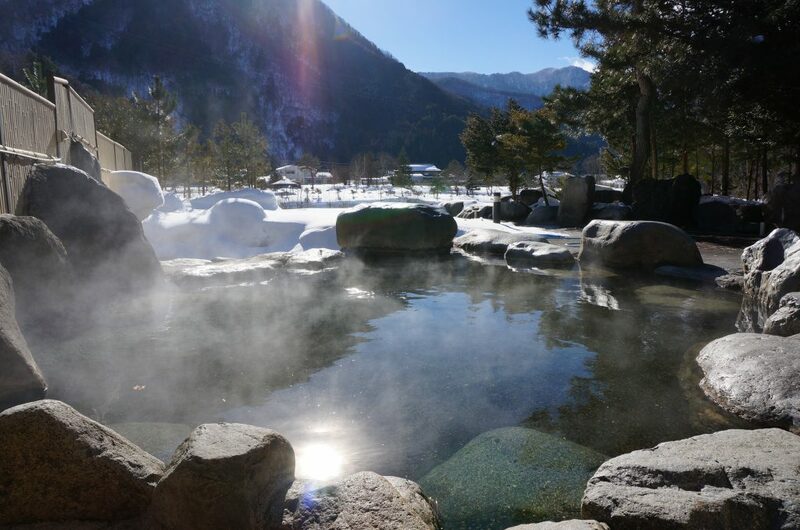 1 Station, these facilities combine day-trip spa and dining venues. 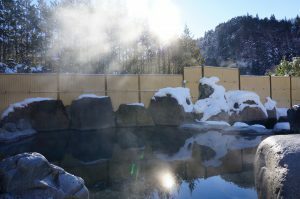 There is also a mist sauna using steam from the hot springs and the bathrooms have cold spring water and hot spring water for drinking, so you can fully enjoy the onsen experience. The restaurant within the facilities has a wide menu including items such as Hida beef hoba steak and ramen noodles. This museum of folk heritage is a thatched wooden building modified from a traditional irimoya (hip-and-gable) style Japanese house. On the 1st floor there are various rooms with garments made of hemp and other textiles. 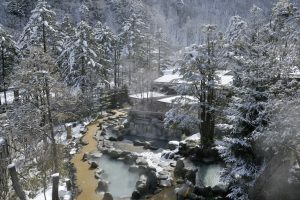 On the 2nd floor there are displays of folk crafts, farming tools and other traditional items that indicate the lifestyles of the people of the Hida region and how they lived through the harsh cold of winter. 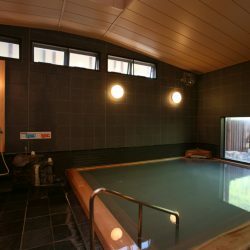 The place combines day-trip spa and dining facilities. 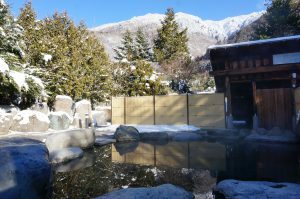 “Mukashibanashi-no-Sato ” (Folk Tale Village) is a re-creation of a traditional mountain village of old Japanese houses, complete with sunken hearths. 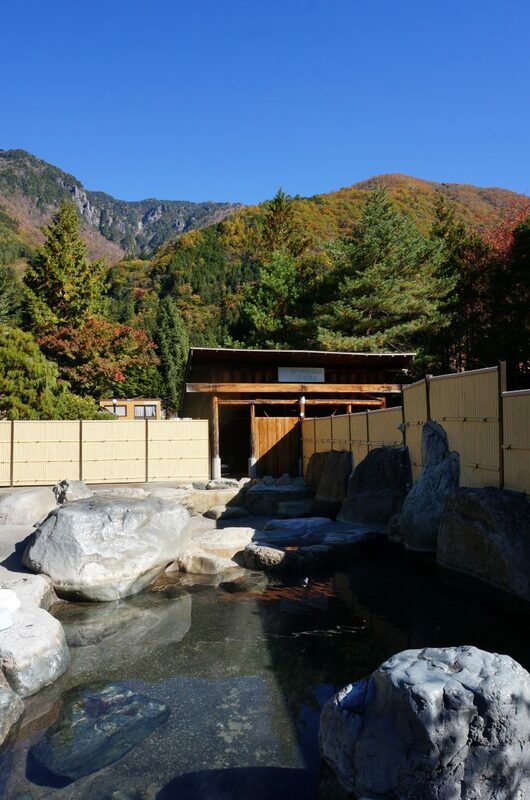 The facility has a public bathing space known as “Isurugi-no-Yu” with separate bathing for men and women and both indoor and open-air spa. Guests can enjoy a meal while sitting around the fireplace. The attached Fukuji Fossil Museum exhibits numerous fossils that have been found in the Fukuji area (free entry). 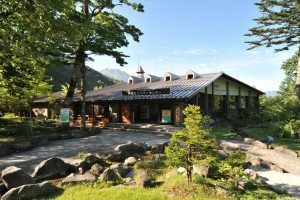 This is a mountain and nature themed exhibition hall by the Shin-Hotaka Ropeway No. 2 Station. The visitor center hosts guided walks, snow-shoe tours, and other events. 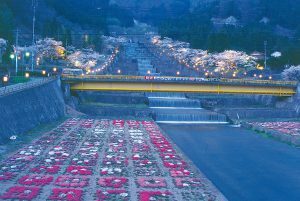 Tourist information on surrounding areas is also provided. 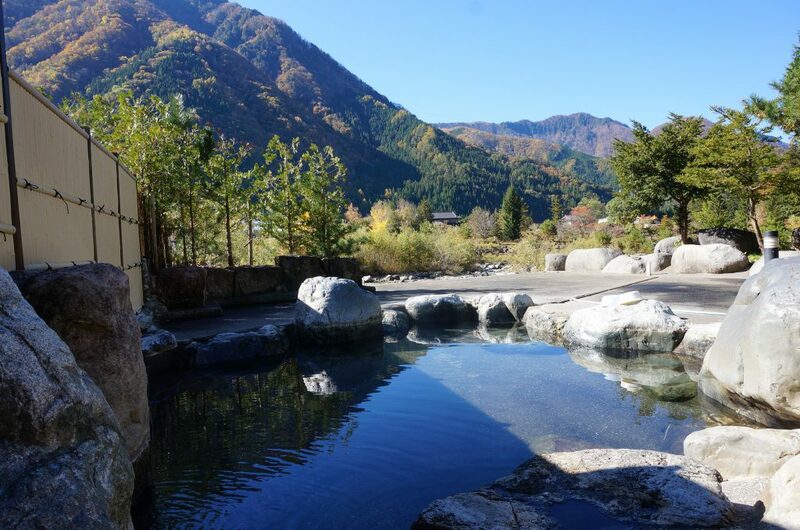 You can bathe in the natural hot spring open-air spa "Kamitakara-no-Yu". Snow shoe rental is available. This is a facility within the Shinhotaka Onsen hot spring area where you can enjoy a spa day trip and dining. There is a model train diorama on display within the building, which is sure to delight train enthusiasts and all visitors. The facility has a broad open-air bath and also offers a wide menu of dishes such as Hida beef cuisine and various set meals. 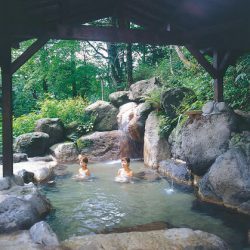 This is an open-air bath resort facility in the Hirayu Onsen hot spring area, the most historical part of Okuhida-Onsengo. With 16 open-air baths scattered throughout the 49,600 m2 virgin forest of Oku-Hida, this is a truly magnificent place. 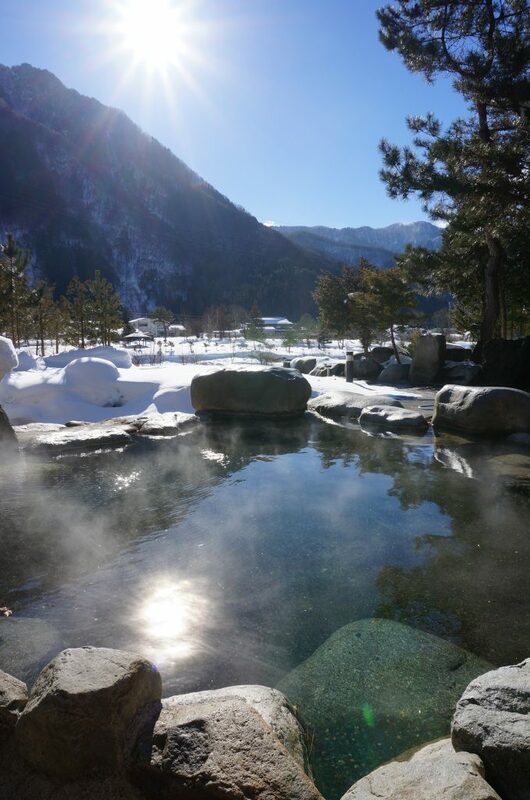 Here you can enjoy a free and open feeling bathing naked. 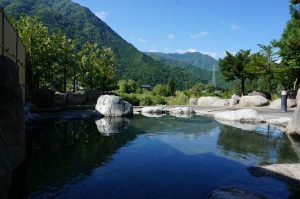 The facility also includes the restaurant “Momi-no-Ki”, where you can enjoy Hida beef cuisine and noodle dishes. Just a 3-minute walk from the Hirayu bus terminal. In 1931, the local villages built a shrine dedicated to Fudo-Myo-Oh (the fearsome Wisdom King Acala, shrine) in the Hirayu-Onsen hot spring area. 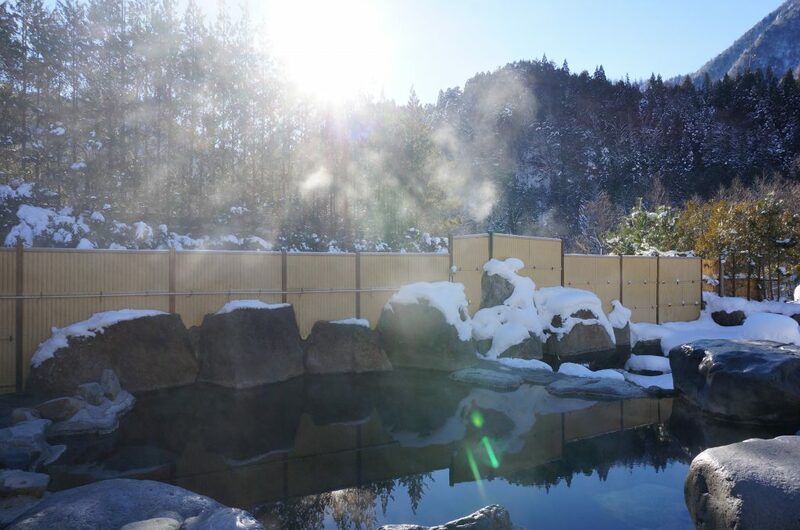 Close by this shrine is the birthplace of the Hirayu-Onsen hot springs, “Kami-no-Yu” (Divine Hot Spring). 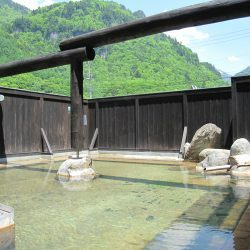 This is a public open-air bath where you can fully enjoy the atmosphere of Okuhida. 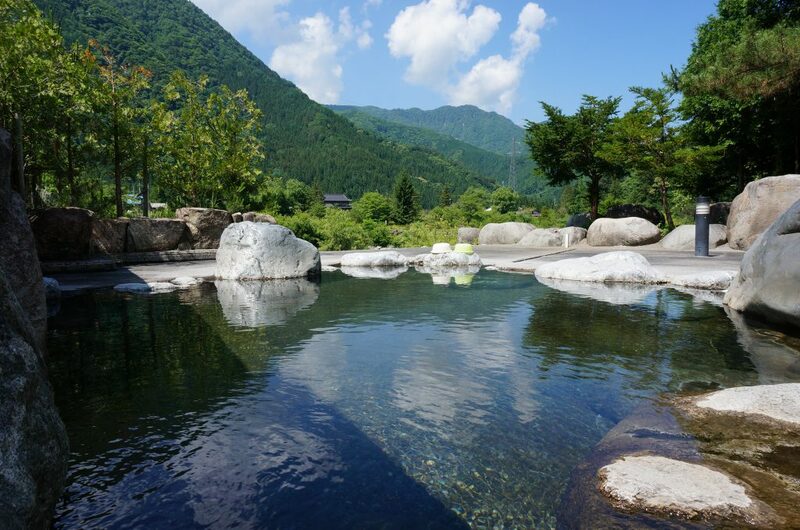 Just a 5-minute drive from the Hirayu bus terminal. The facility is closed during the winter season (from snowfall in November to mid-April). 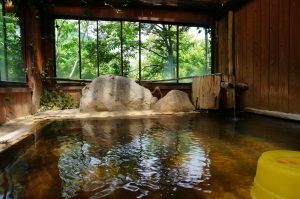 Currently, "Kami-no-Yu" is closed for repair. We are sorry for the inconvenience, please understand. I will let you know as soon as the schedule of resuming is decided. 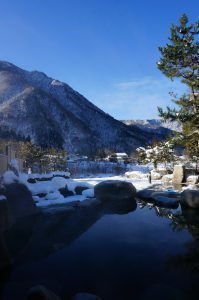 In addition, an another public spa facility "Hirayu-no-Yu (in "Hirayu-Minzoku-kan")" is open in the Hirayu-Onsen area. Please come and enjoy spa by all means.